Arsene Wenger is facing the biggest test of Arsenal’s season with a midfield dilemma on his hands. Mikel Arteta is banned for the Gunners’ midweek Capital One Cup tie against Chelsea, while Mathieu Flamini is a major injury doubt for next Saturday’s crunch with Liverpool. Jack Wilshere was only a second-half substitute in Saturday’s win at Crystal Palace, even though he was fit and keen to start, with manager Arsene Wenger using his ankle problems as an excuse to drop him. There are some big decisions ahead and it will be increasingly hard for Wenger to keep all his players happy, even if some are missing for key games. Flamini suffered a groin injury after just eight minutes at Selhurst Park, where Arteta was later sent off, while Wilshere is desperate to play. When you throw Mesut Ozil, Aaron Ramsey, Santi Cazorla and the underused Tomas Rosicky into the mix, Arsenal have a wealth of midfield talent which will surely be the key to success. But Wenger also knows their upcoming fixture list will tell us whether his team are the real deal this season. Chelsea followed by Liverpool, a trip to Borussia Dortmund in the Champions League, and then Manchester United. By the final whistle at Old Trafford on Sunday, November 10, we will know exactly what Arsenal are capable of. 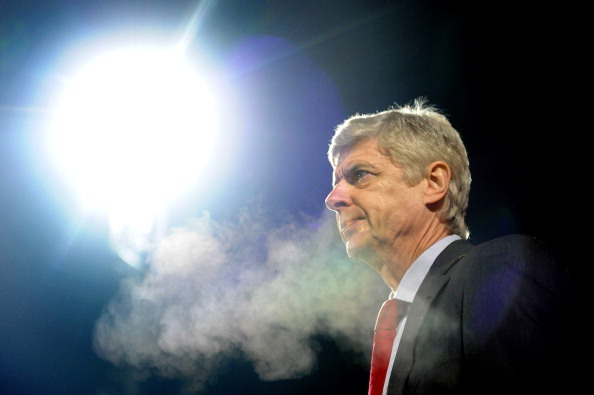 It was more ­difficult at Selhurst Park than Arsenal expected. They were a bit fatigued after the Dortmund defeat and also perhaps a bit too casual, because ­a Palace side that had lost seven of eight and just seen boss Ian Holloway walk out were supposed to be a walkover. But it took a clumsy ­challenge by Adlene Guedioura on Serge Gnabry to concede a penalty to get Arsenal underway a minute after the restart. Arteta converted the spot-kick but then got harshly sent off 50 yards from goal for pulling back Marouane Chamakh when he went clean through. The Gunners battled on with 10 men, Wojciech Szczesny made two super saves and Olivier Giroud was finally rewarded for his incredible work rate with a close-range header from Ramsey’s clever cross. “We have more points than everyone else so that’s not bad. But some teams have had heavier fixtures than we have had until now.